Life is a cycle. From youth to old age, most of us experience the same things, happiness, and joys, albeit with a personal twist. If there is one major memory we all share, it’s that of our school life. After all, all of us go to school at an early age and spend a great deal of our day and early life in the four corners of the classroom learning everything we need to know to become a fully-functioning adult once we step out into the real world. It’s for a good reason too because the academe prepares the students for what’s waiting in real life. No, graduation isn’t just an accomplishment or the end to learning but actually the beginning of the first real chapter of your life where you make all the decisions and face its consequences too. Before doing your own thing, many of today’s youth struggle at school and some actually hate it since they fail to realize the purpose of everything they are learning. If you just try to look past the struggles and see the silver lining in all the endeavors you are facing, getting yourself an education won’t seem like a burden anymore but an opportunity to improve yourself, so you can finally achieve your dreams for real. Not all the time there is something you can do about the outside factors in your life but there is something you can do about your mindset or the way you perceive things. Changing the way you think about your circumstances is also achievable. Many academics see their jobs as callings rather than as merely a means to pay the bills; people who think this way report higher job satisfaction. 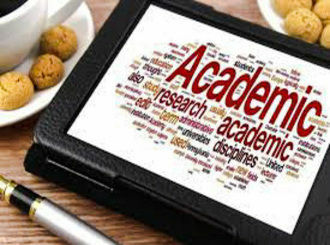 Moreover, many academics are, objectively, doing just fine; professionally and intellectually, they are succeeding at a high level. But it doesn’t always feel that way. One reason is that academics (like most other people) are prone to comparing themselves with colleagues and subject peers. Comparison – whether it is h‑indexes or promotion trajectories – has been shown to be toxic to happiness. It isn’t that glum people compare themselves with those doing better while happy people compare themselves with those doing worse: happy people simply don’t compare themselves with others at all – and happy academics are probably spending all that extra psychological energy applying for grants. People with a happier disposition will be able to better deal with stress and not allow themselves to be discouraged by whatever problem they are facing in their studies. Be kind to yourself and learn to embrace your flaws inasmuch as you celebrate your successes. We all grow internally and externally and we can only be happy with all these changes if we aren’t too hard on ourselves. This open-mindedness and acceptance of ones’ self also help with learning as it is easier to absorb new information if you don’t put too much pressure on yourself. Focus on rules can diminish children’s willingness to take academic risks and curiosity as well as impede their self-confidence and motivation as learners—all of which can negatively affect their performance in school and in later life. The pressure in learning isn’t just felt by those older students but even the young ones too. Although we all know how much kids need to learn these days, it is also stripping them of the chance to enjoy their childhood and not get too overwhelmed by school work. Even kindergarteners are expected to perform better in class when they should be out there playing in the dirt and sand and not having a care in the world. Social order has certainly shifted since most parents right now hold jobs that require their full time and attention that they no longer have time to spare for their children. As a result, they leave their kids in daycare centers or enroll them too early in school that in turn require too much from the kids in terms of learning new things. It may be good that they know all these things but it also has its cons. And because of this, young kids begin to loathe learning which isn’t good at all knowing how much value a good education is to a person’s life.